DOLPA, Oct 10: Shey Phoksundo Lake lies right beneath the pristine Mt Kanjirowa in all its majestic glory. Surrounded with pure, serene and emanating tranquillity the lake located near the Rigmo village of Dolpa district. It has never failed to mesmerize the visitors with its divine beauty. There are more than 20 stupas in the southern belt of the lake. There is a gompa in the eastern side of the lake, where annual prayers are carried out. On the lake’ southern end, the village of Ringmo sits on the 30,000-40,000-year-old landslide dam that formed the lake. Past the dam, the waters of the lake plunge over a 167-meter tall waterfall called Phoksundo Waterfall. One can observe the traditional Tibetan culture in Upper Manang and the Buddhism and Bon-Po in Lower Dolpa, including the Ringmo village. Shey Phoksundo is considered to be a holy place by the Buddhists living in Dolpa region and around. Hence, one is not allowed to soak in the aquamarine water of the lake. Even then, the lake is worth a watch. 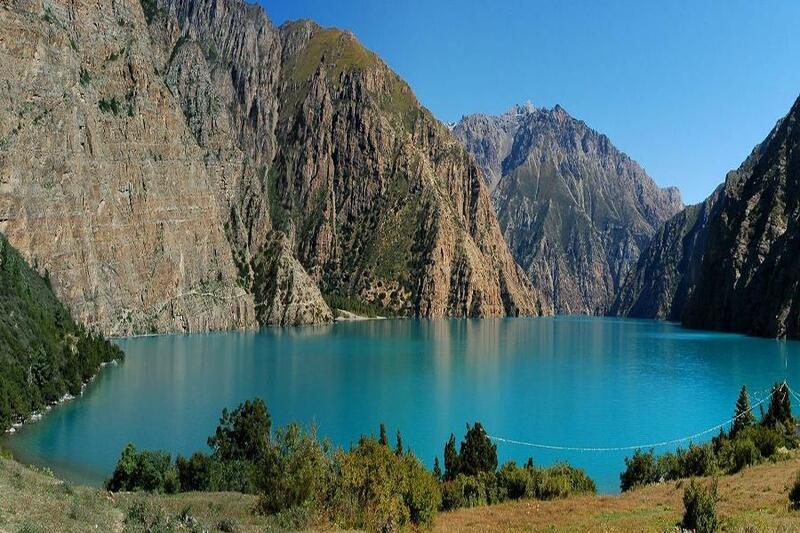 Shey Phoksundo National Park just nearby is another reason to visit this lake. The national park is the largest national park with an area of 3555 sq km. The park has several varieties of flora and fauna. It also protects several endangered animals like the musk deer and the snow leopards. Phoksundo also changes its colour from time to time. At first glance, its surface looks dark blue. But in course of time, the lake again seems light blue or even green. Despite the abundance of beauty, Phoksundo remains largely underappreciated. Not many tourists visit the lake due to its extremely difficult geographic location. It is not easy for tourists to reach the site in Karnali Province. Lack of access has been a major hindrance in promoting tourism in the area, which also boasts of the famed Shey Monastery. In order to reach the lake, which is 3,990 meters above the sea level, tourists have to walk for two days on foot from Dunai, the district headquarters of Dolpa. Along with the difficulties posed by the topography, there are no proper infrastructures to accommodate a large number of tourists. The government has not been able to pay much attention to the promotion and conservation of the lake. Lack of concrete tourism plans has hurt the prospects. The government charges USD 500 for 10 days to foreign tourists visiting upper Dolpa. A fee of USD 10 per day is charged to foreigners visiting lower Dolpa. Around 2,500 domestic and foreign tourists visit Shey Phoksundo National Park every year. Tourism entrepreneurs believe the numbers can be drastically increased with proper plans and management.